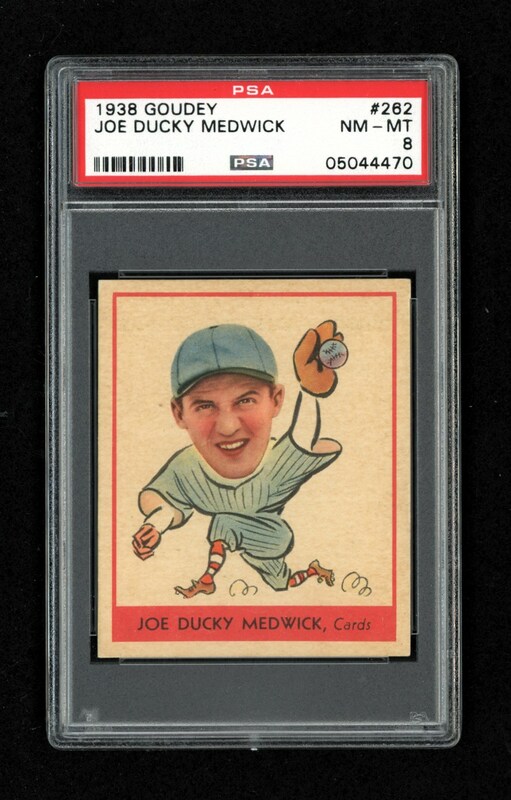 One of Medwicks finest cardboard keepsakes just happens to be this remarkable 1938 Goudey PSA NM/MT 8 offering that has only been bested by a single example! A spine-tingling fielding pose headlines this magnificent keepsake that uncharacteristically portrays near-perfect centering. 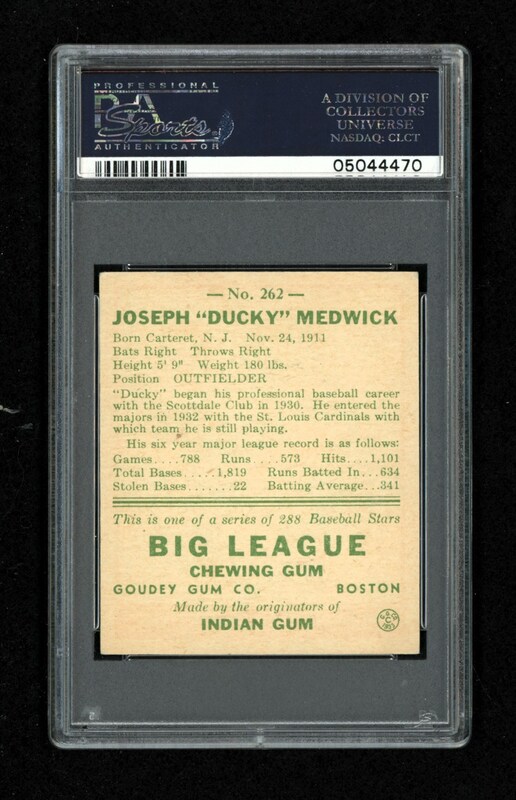 Ultra-clean surfaces, pinpoint corners and sparkling hues are the final compliments for one of the finest Ducky Medwick cards extant!